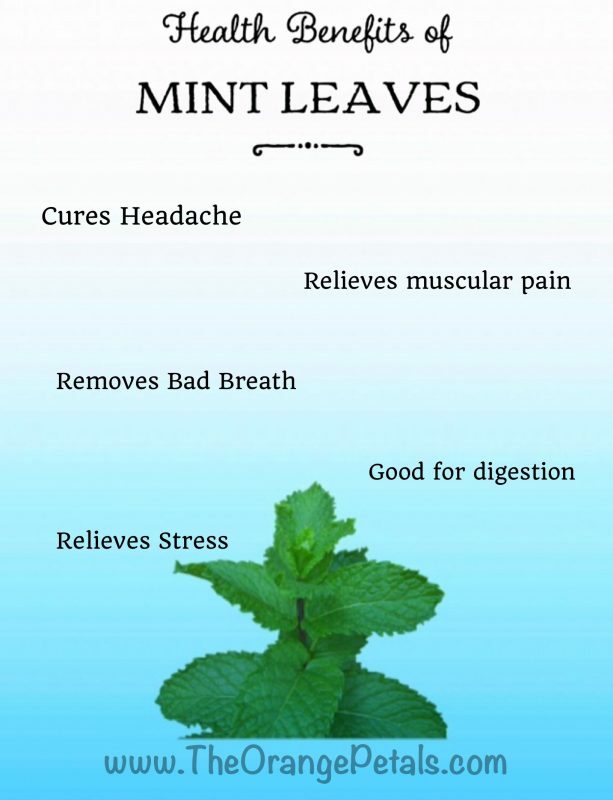 Fresh mint leaves not only adds flavor to your recipes but also has so many medicinal properties. The Health Benefits of Mint Leaves are so many which includes, it is a good antioxidant, contains vitamins and minerals, good for digestion, gives more flavor to your meals etc. Here we have listed top 10 Health Benefits of Mint Leaves in no particular order. 1. 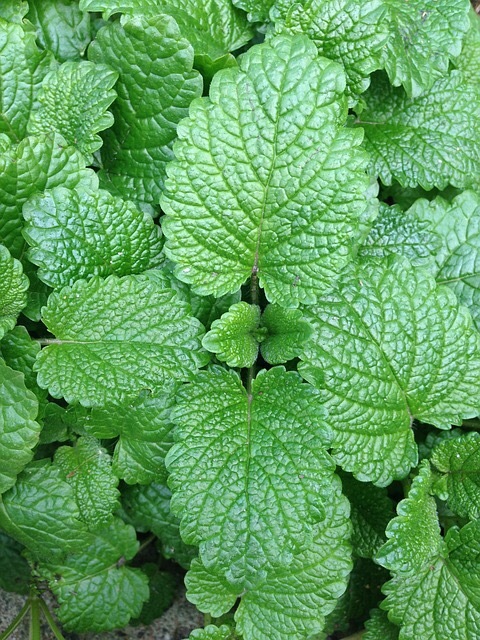 Bad Breath: Mint leaves are used to remove the bad breath from age old days. Just chewing some mint leaves and goggle with water is enough to get fresh breath. If you can get any peppermint oil or mint oil, you can just add it in your toothpaste and brush it. It even whitens your teeth. Mint leaves has anti-bacterial and anti-inflammatory properties and so it fights against tooth decay and bad breath as well. 2. Solves Respiratory Problems: Peppermint oil acts as an expectorant and decongestant, and may help clear your respiratory tract. Use peppermint essential oil as a cold rub on your chest or inhale it through a vaporizer to help clear nasal congestion and relieve cough and cold symptoms. 4. Stress: Peppermint oil is cooling and energizing. Add a few drops to your bath, or dap a few drops directly on your body then get into the tub, for near-instant stress relief. You can also put the oil into a burner for a stress-relieving aroma. 5. Good for Hair and Skin: Try blending peppermint oil into your massage oil, shampoo, bodywash or body lotion. It has antiseptic and antibacterial properties that can help cool your skin and remove dandruff (and lice) from your scalp.